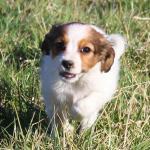 We expect these Kooikers to have amazing sweet, very outgoing, confident HAPPY temperaments. Junie came to us as an adult early in 2018. 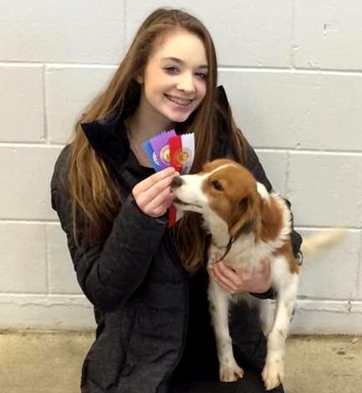 Junie attained her AKC Championship & AKC Canine Good Citizen, while at the same time taking time out from competitions and training to whelp her first Ambermoon litter. 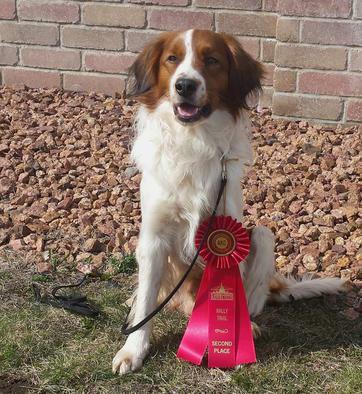 Rocket's record speaks for himself! 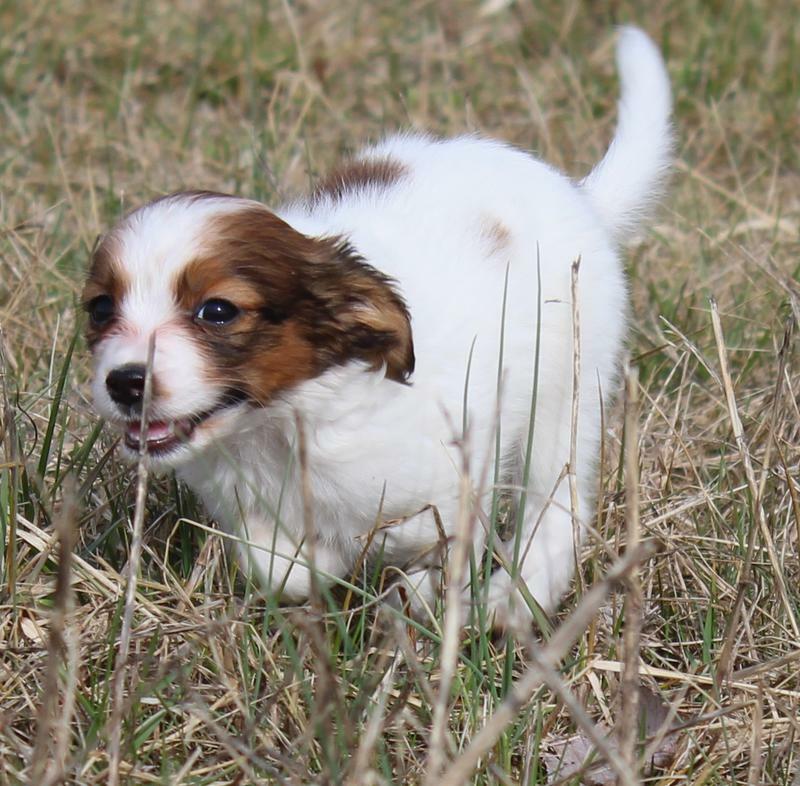 We are expecting puppies with the same fabulous personalities as her first litter. 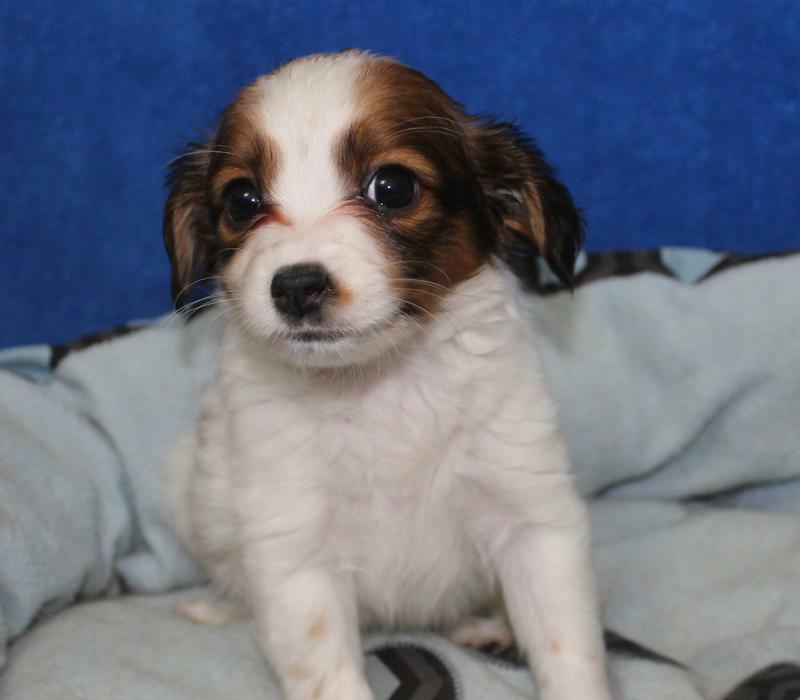 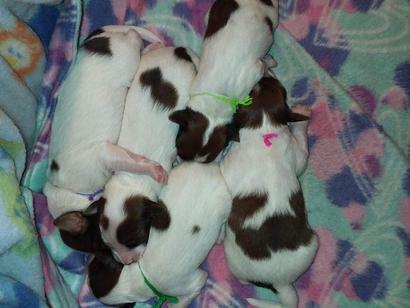 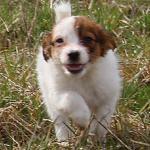 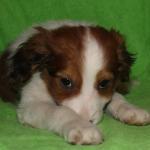 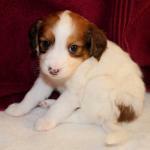 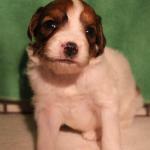 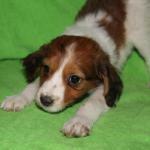 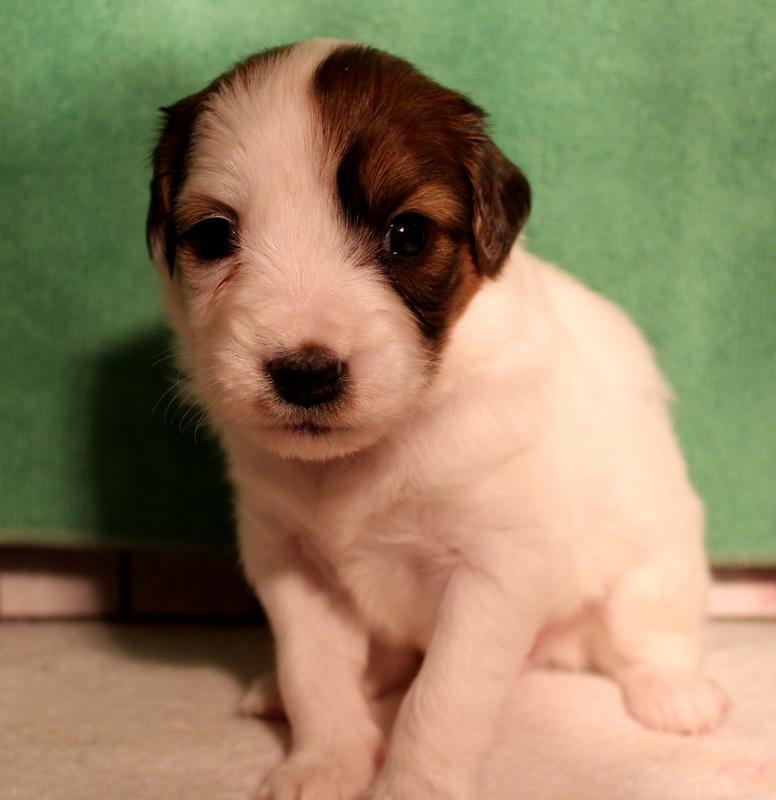 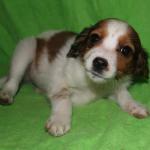 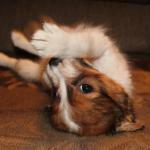 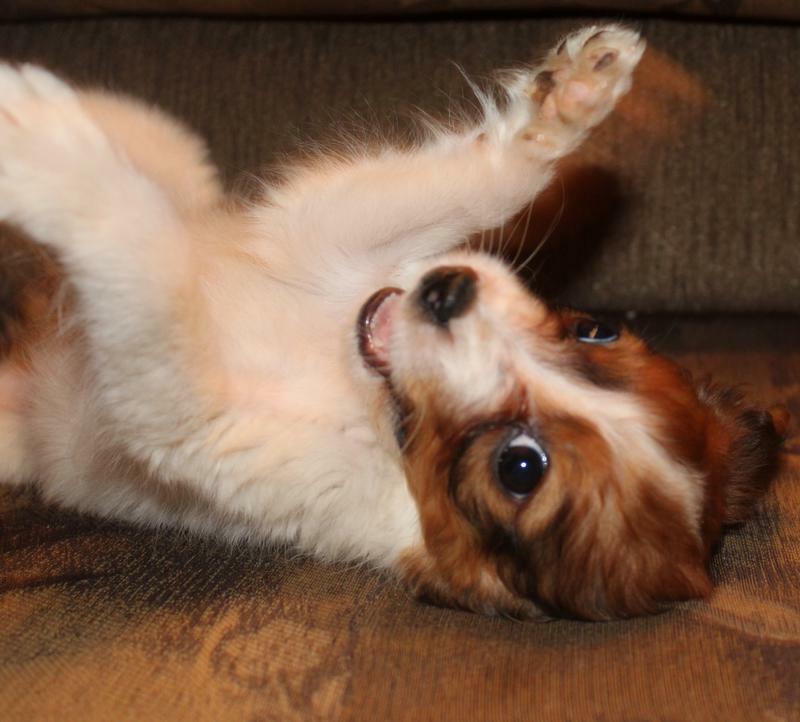 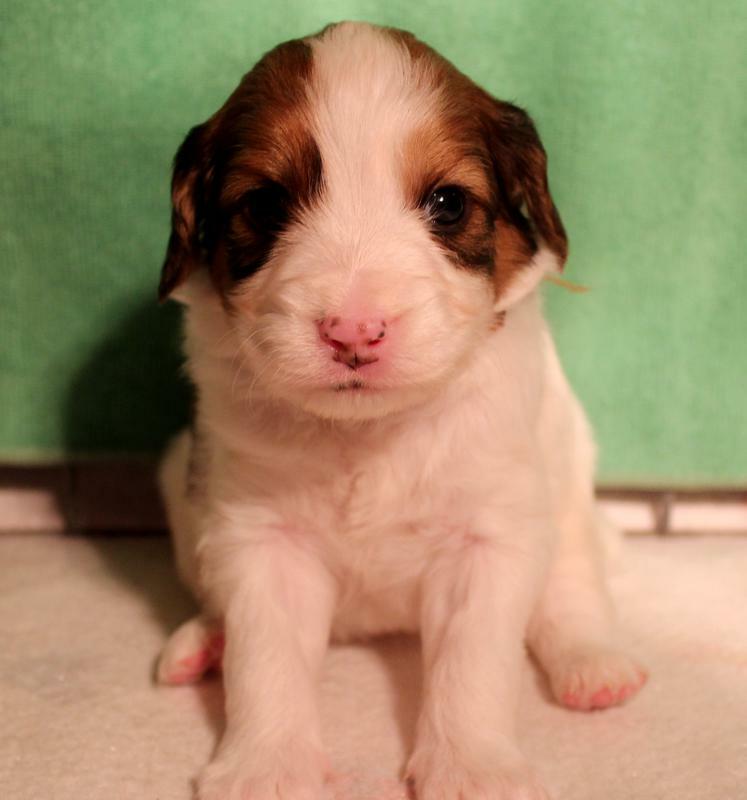 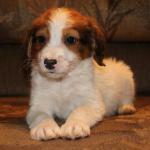 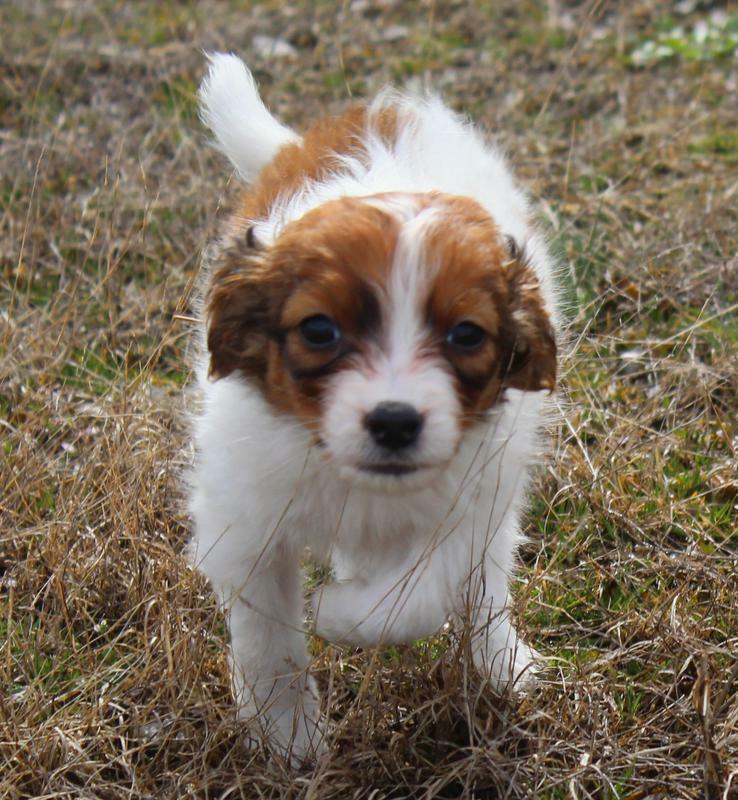 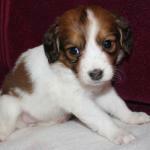 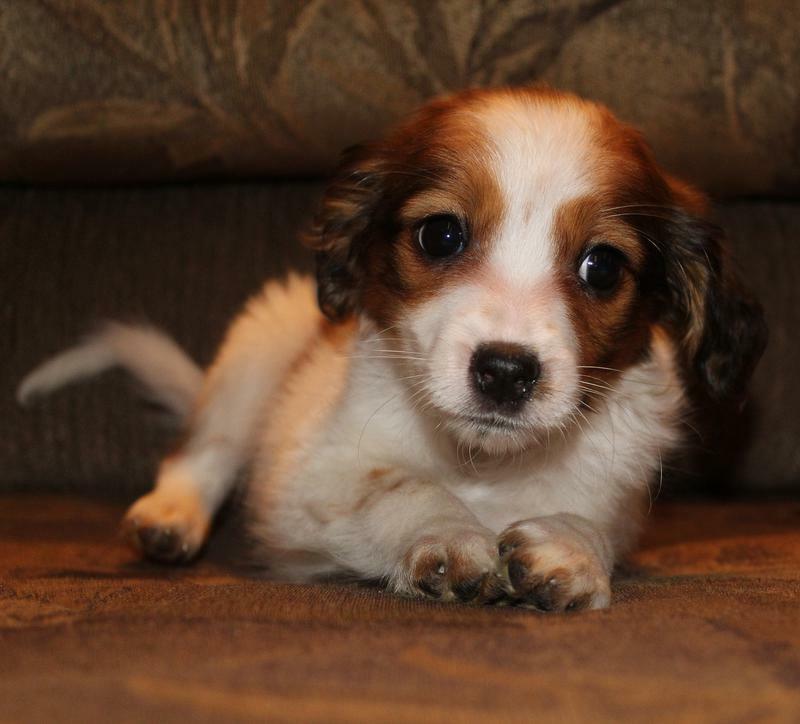 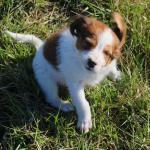 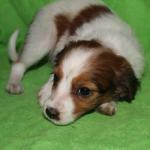 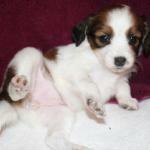 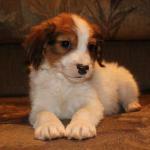 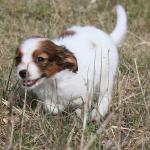 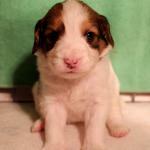 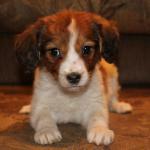 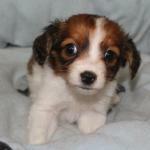 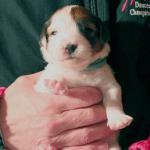 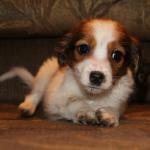 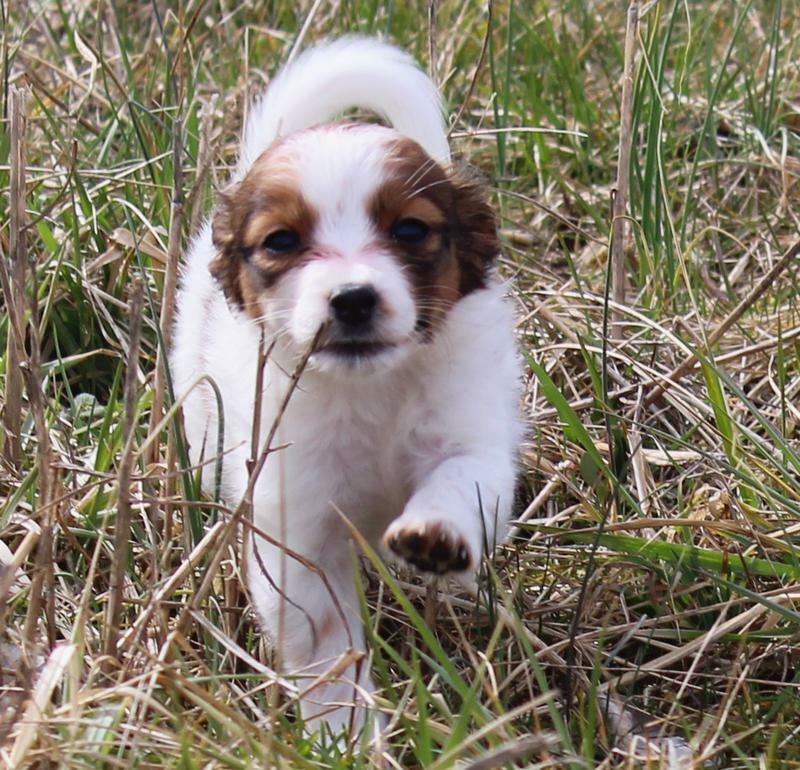 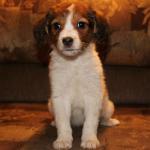 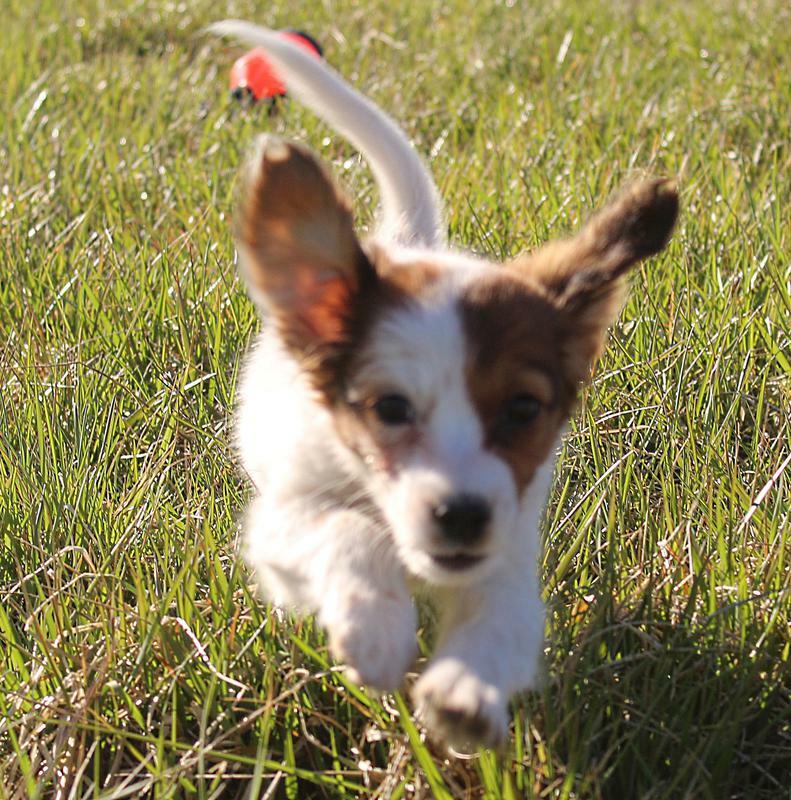 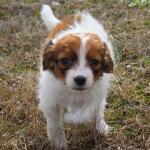 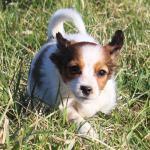 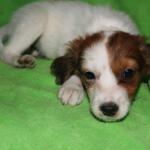 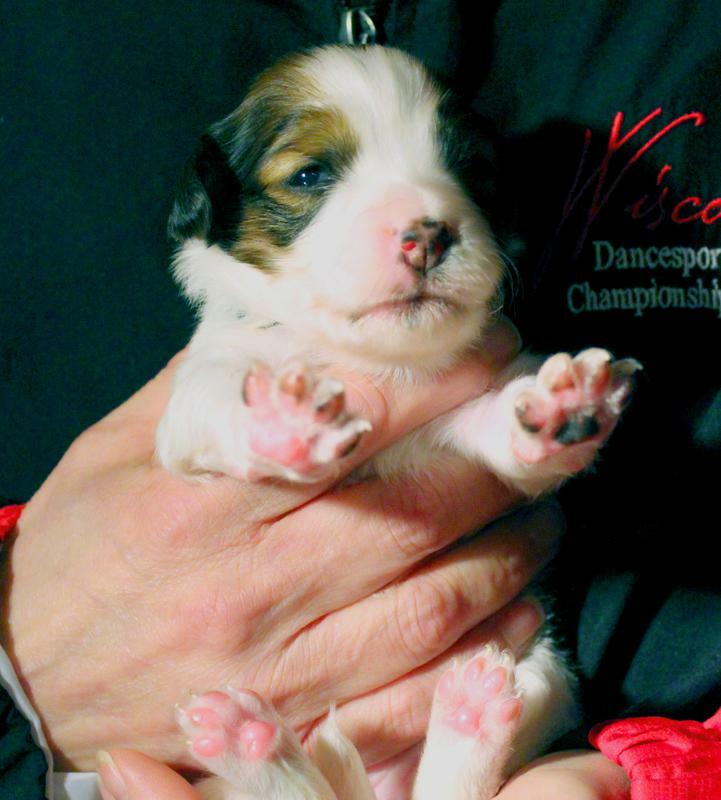 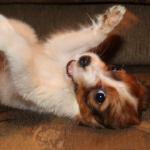 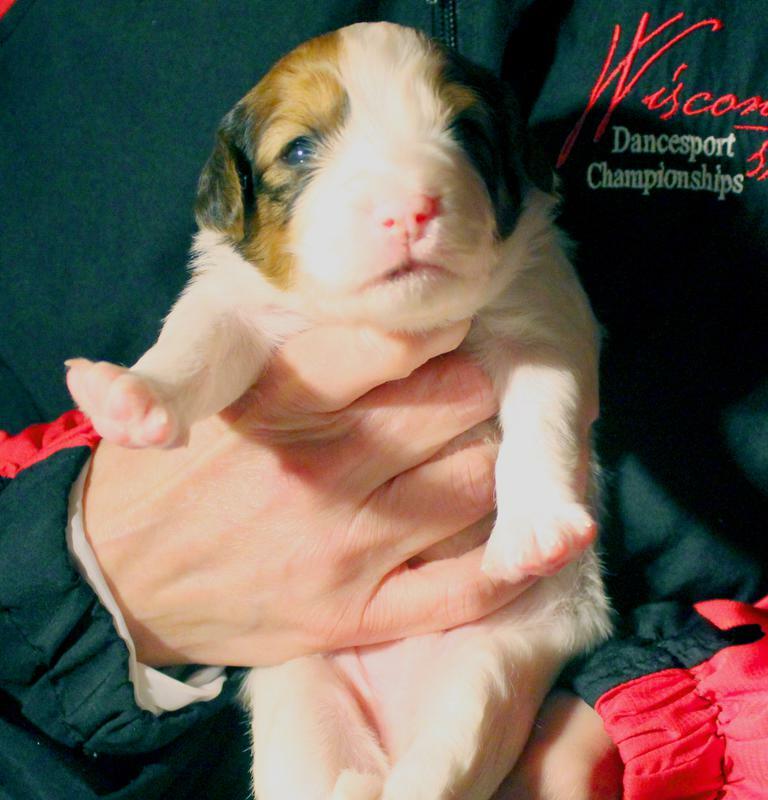 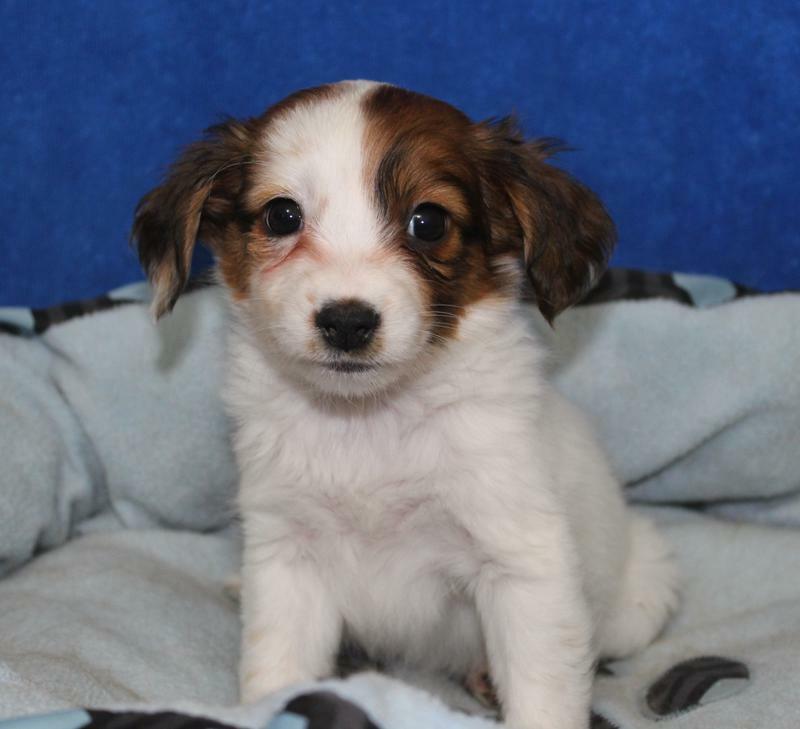 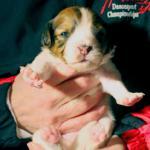 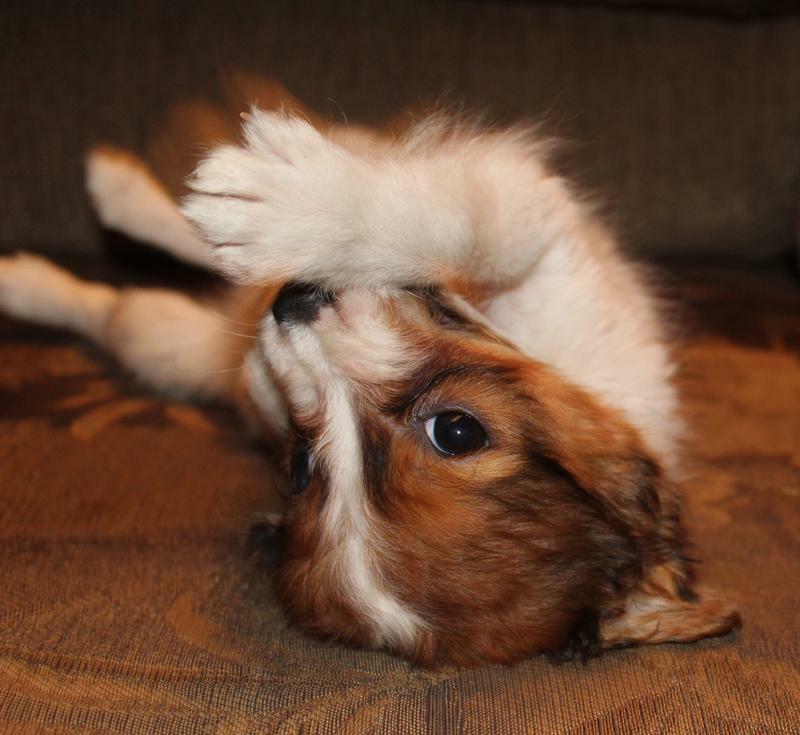 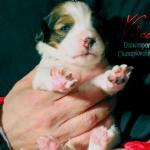 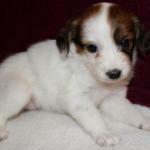 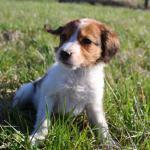 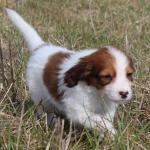 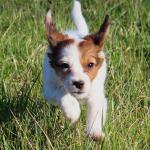 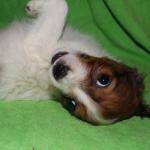 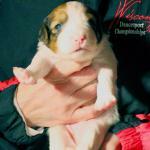 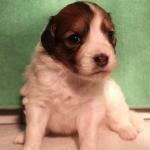 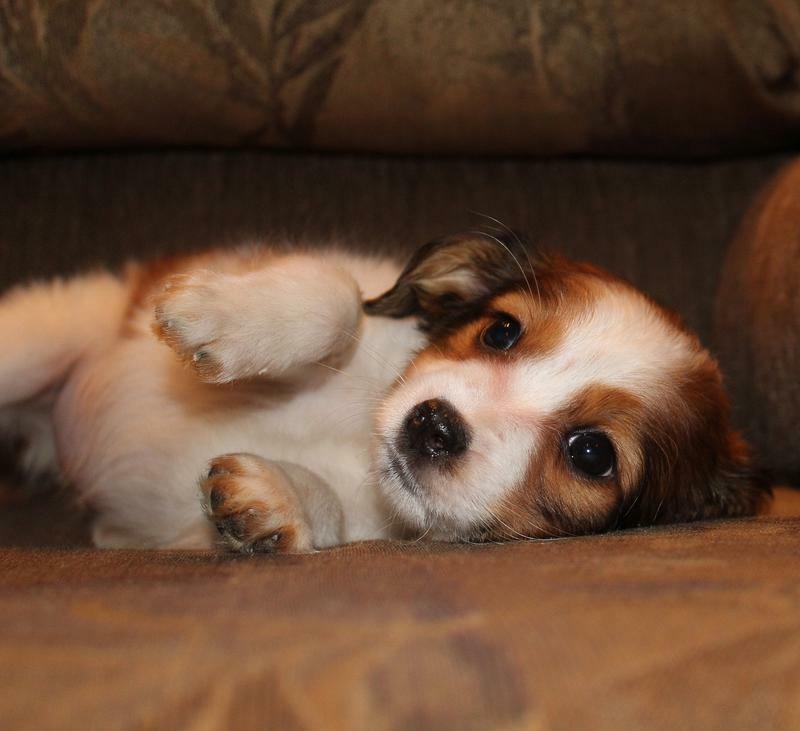 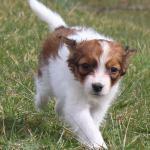 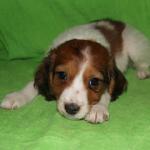 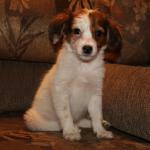 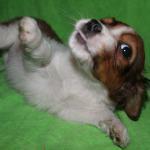 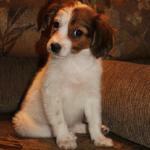 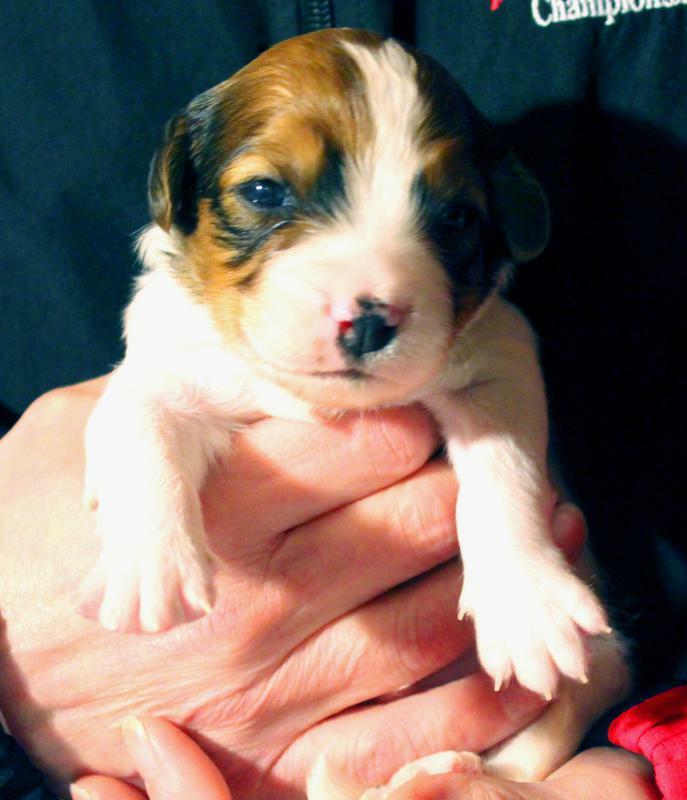 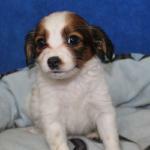 Puppies that will make outstanding family companions, especially with children of all ages. 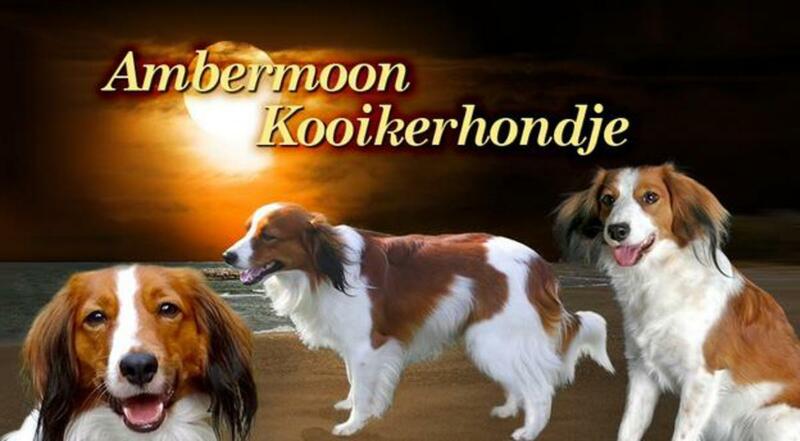 This is a very rare breed. 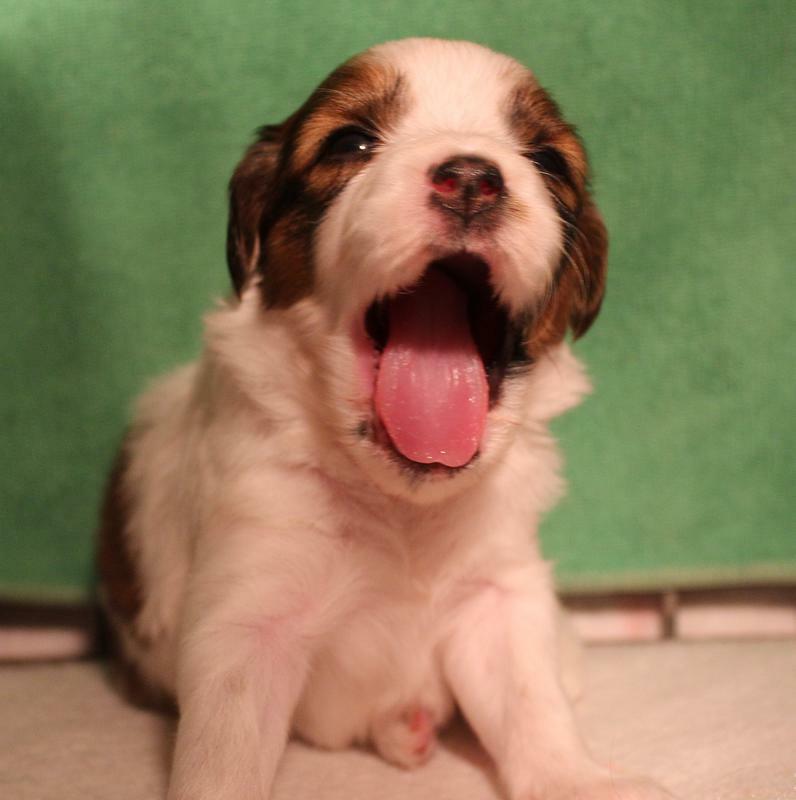 So we feel the need to "cut to the chase" on Price. 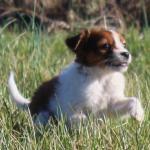 Our dogs are exceptional! 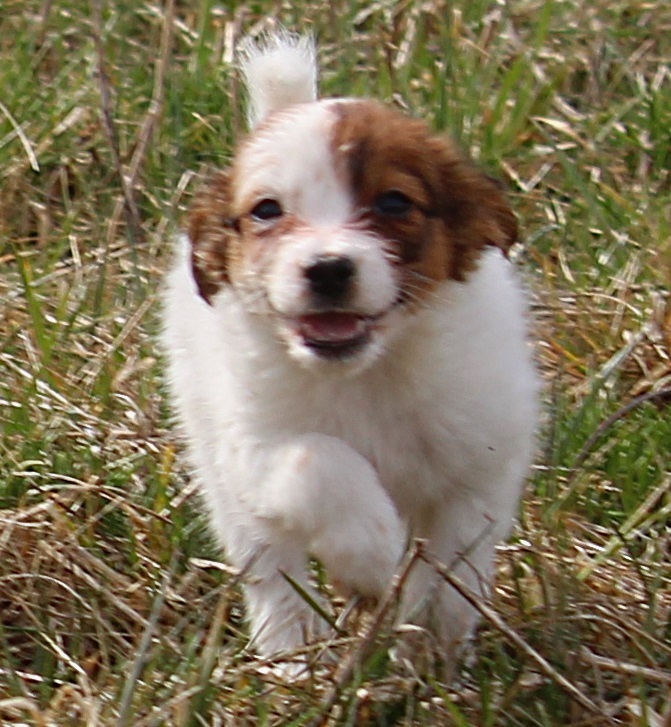 We have been involved in the breed over 16 years. 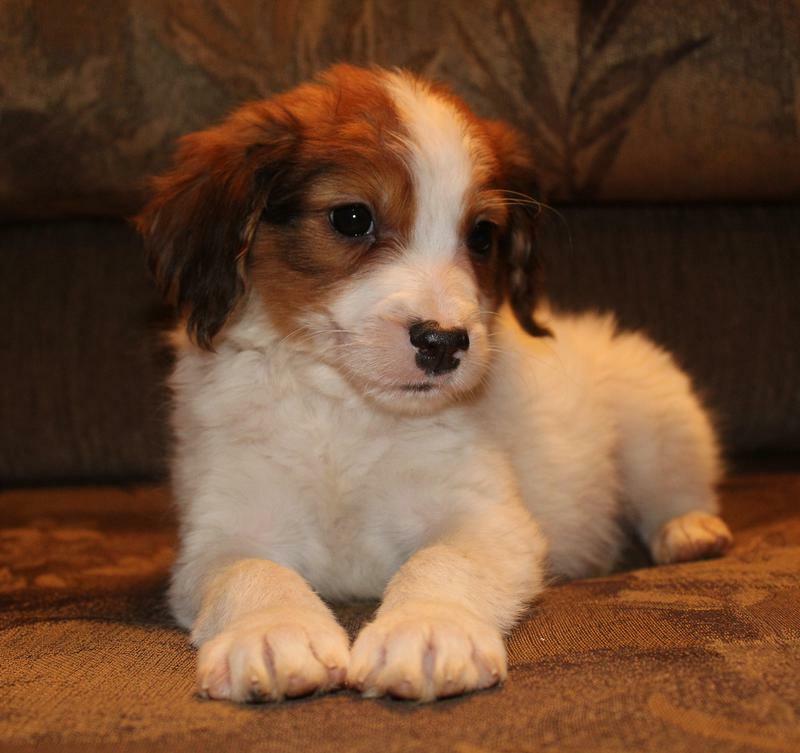 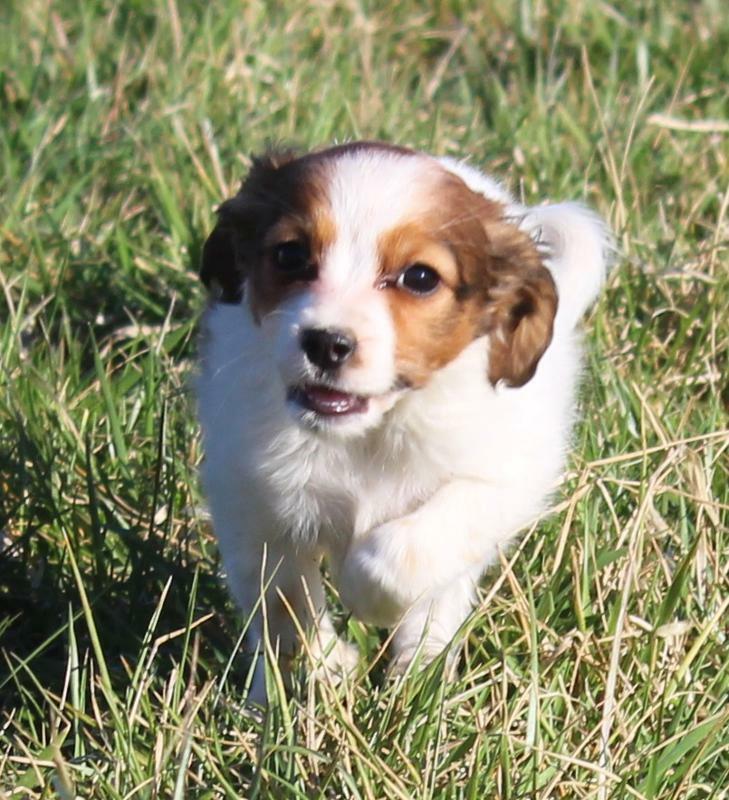 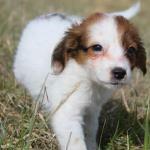 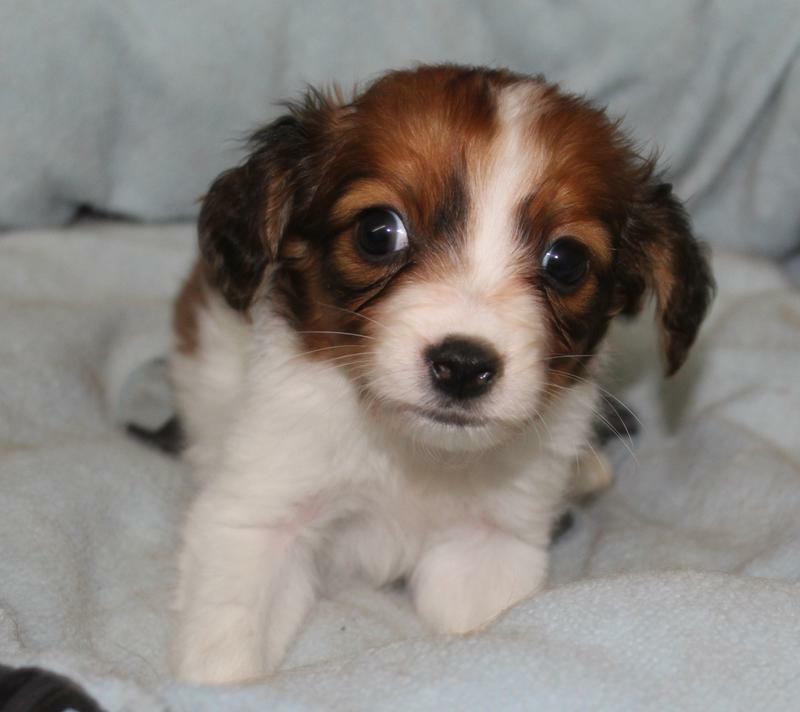 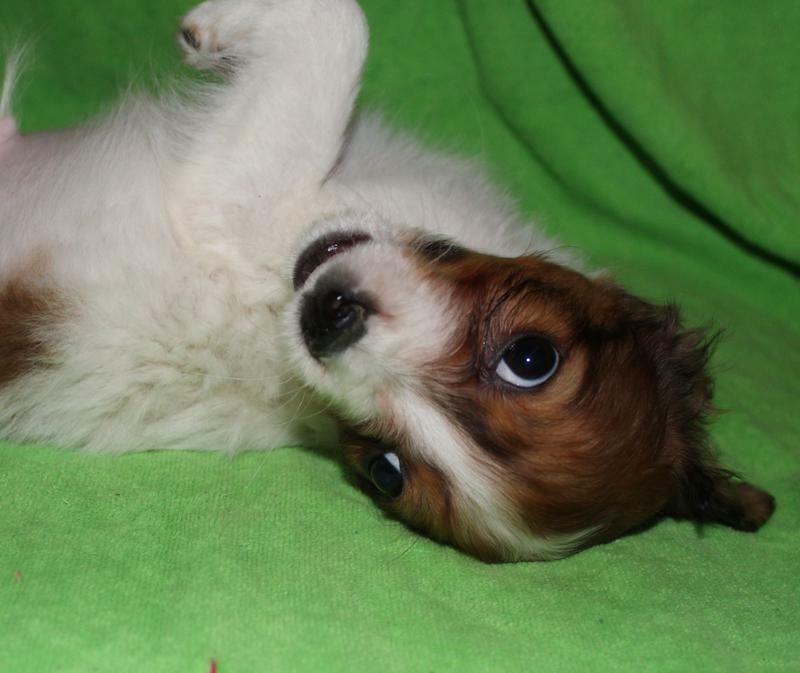 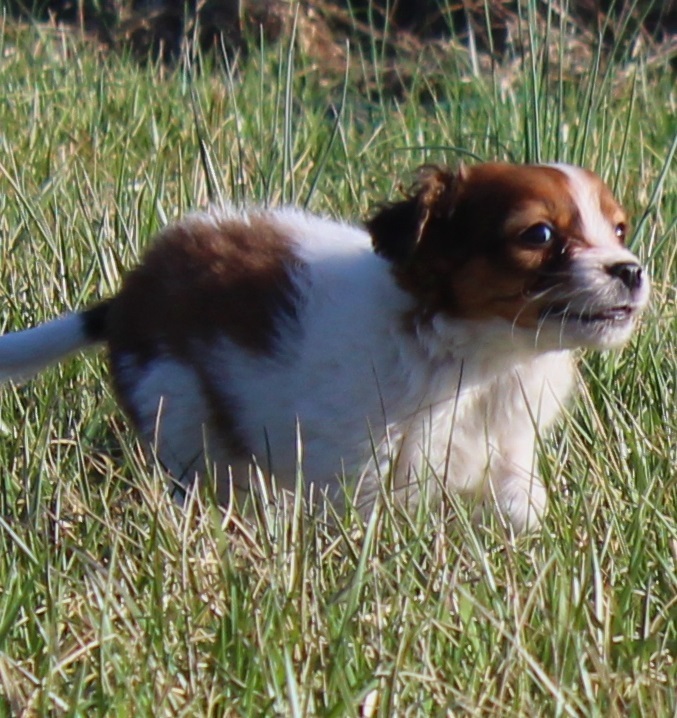 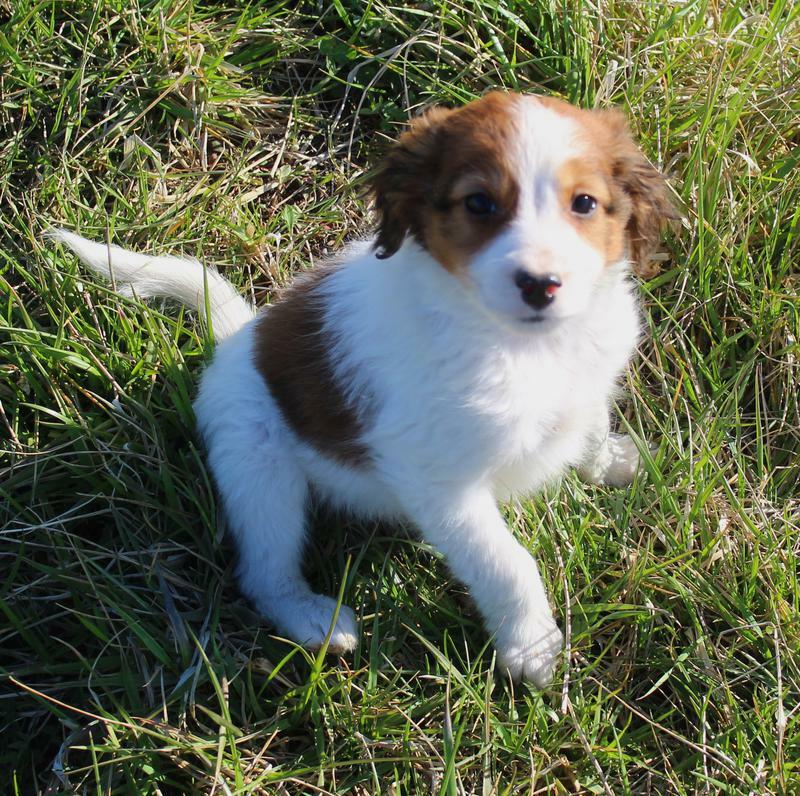 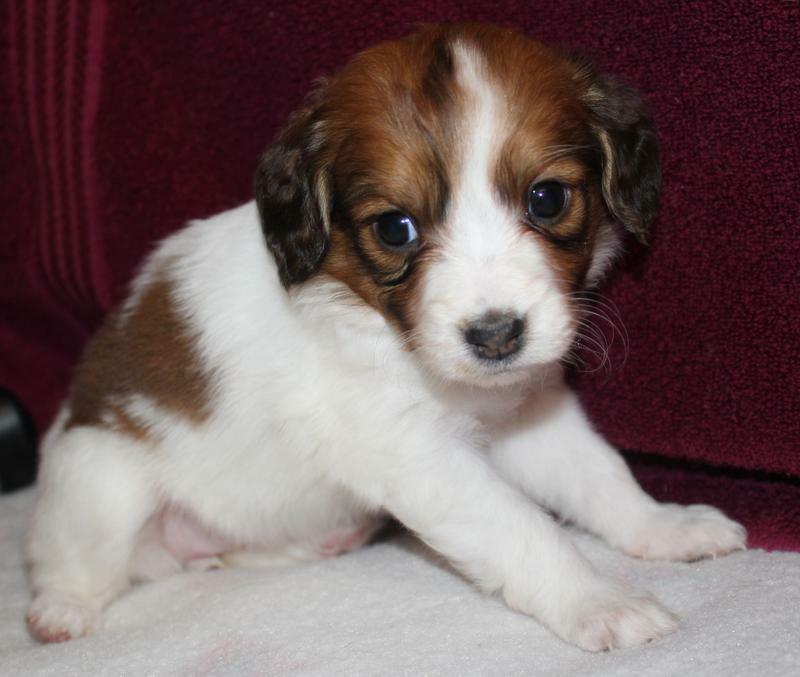 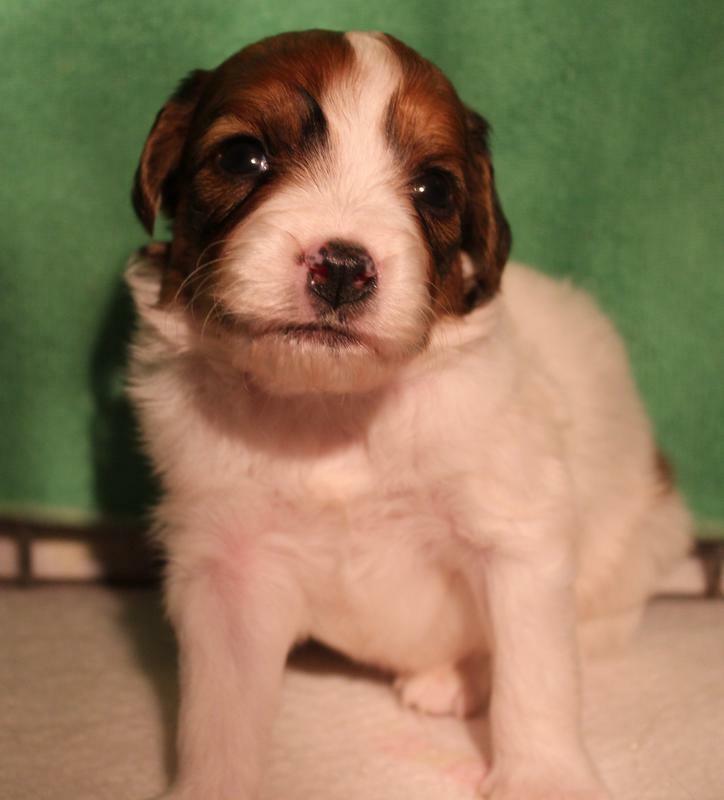 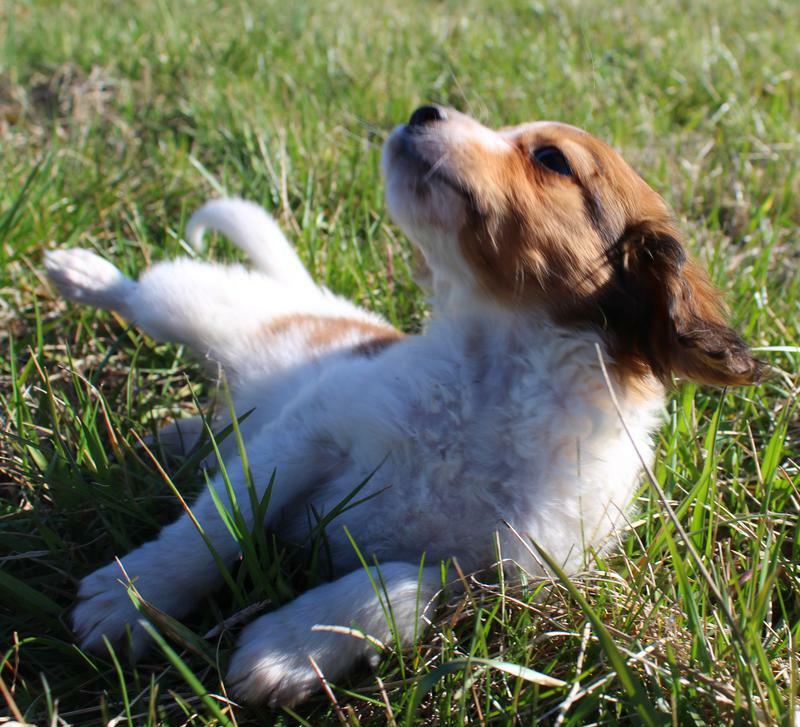 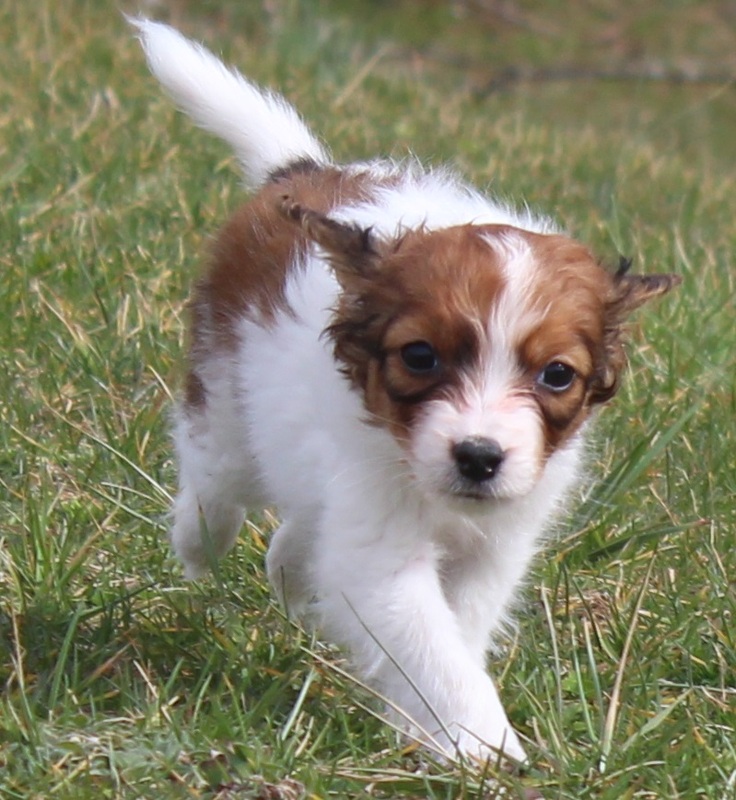 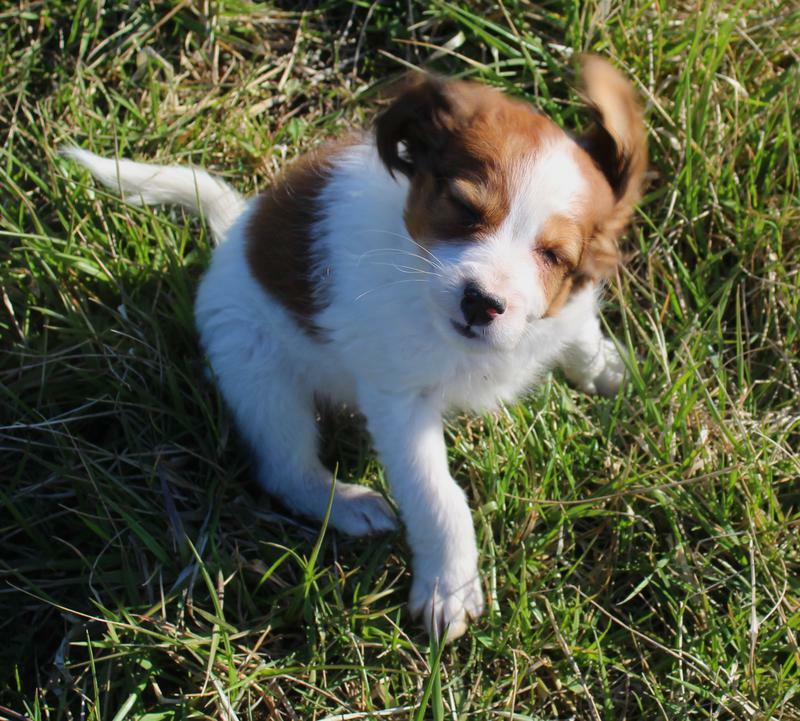 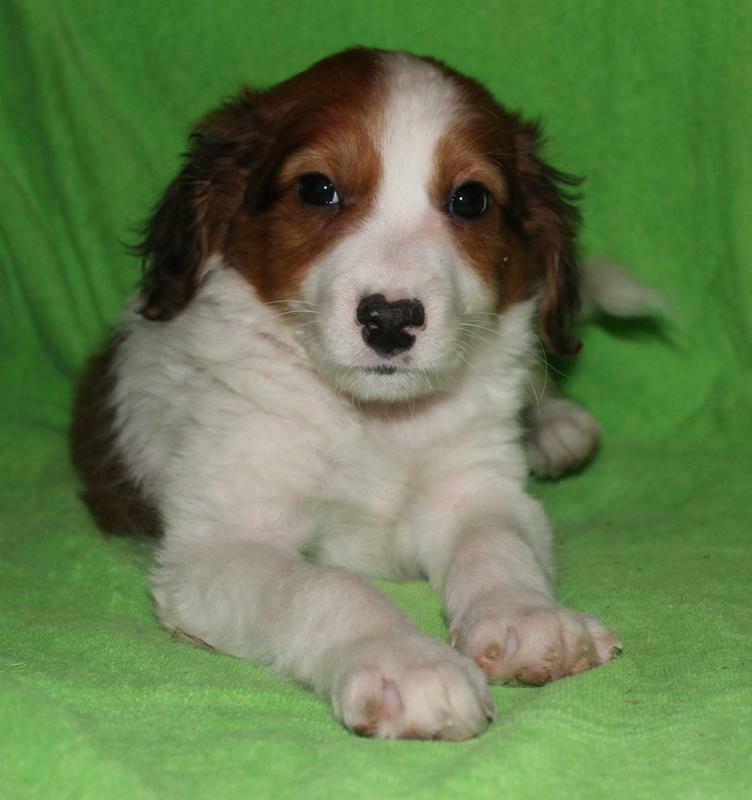 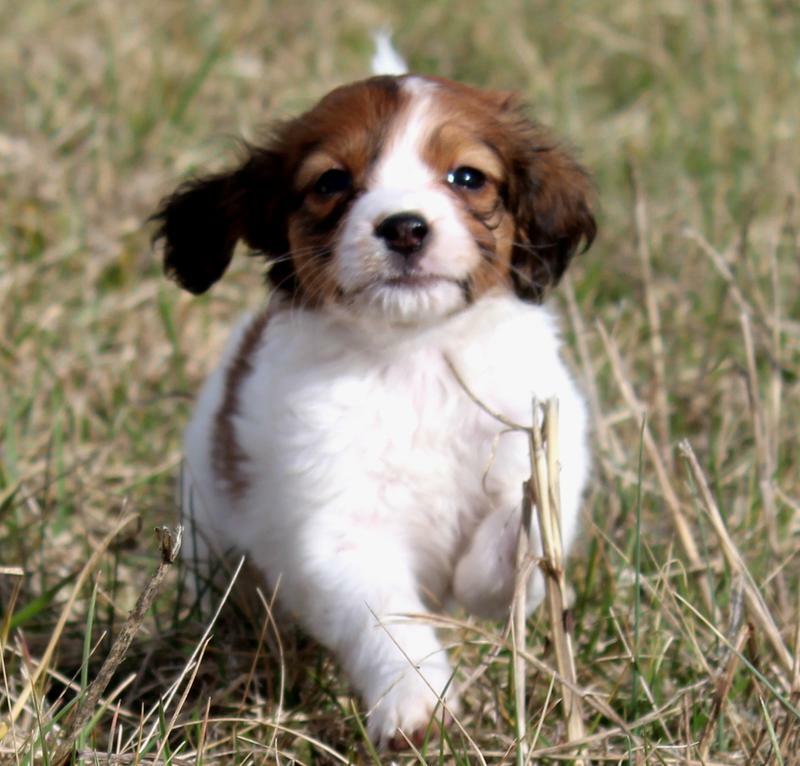 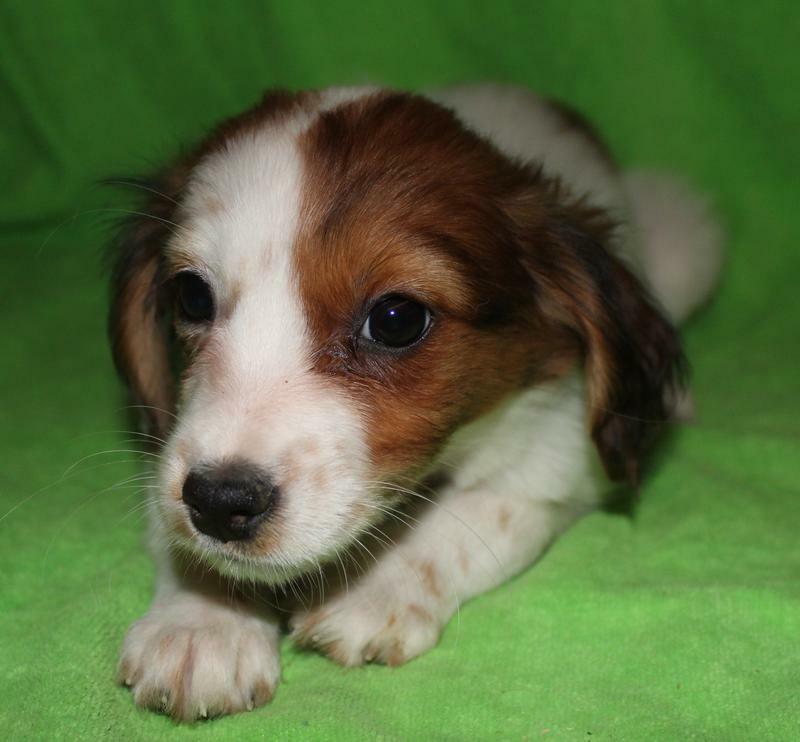 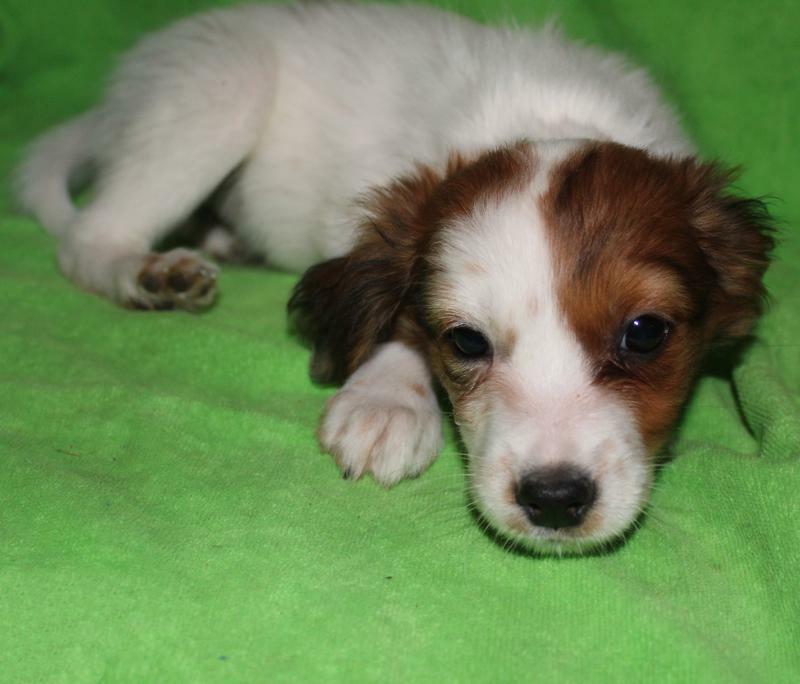 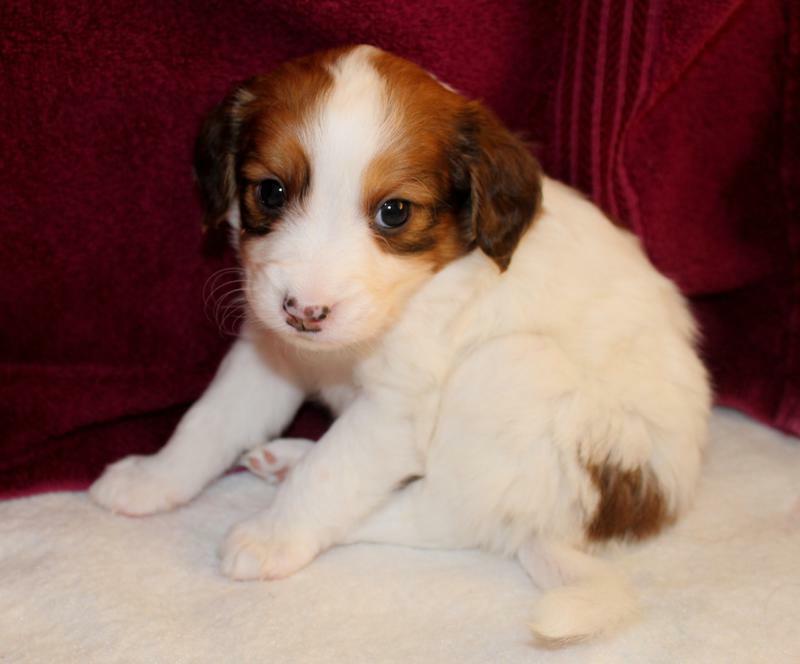 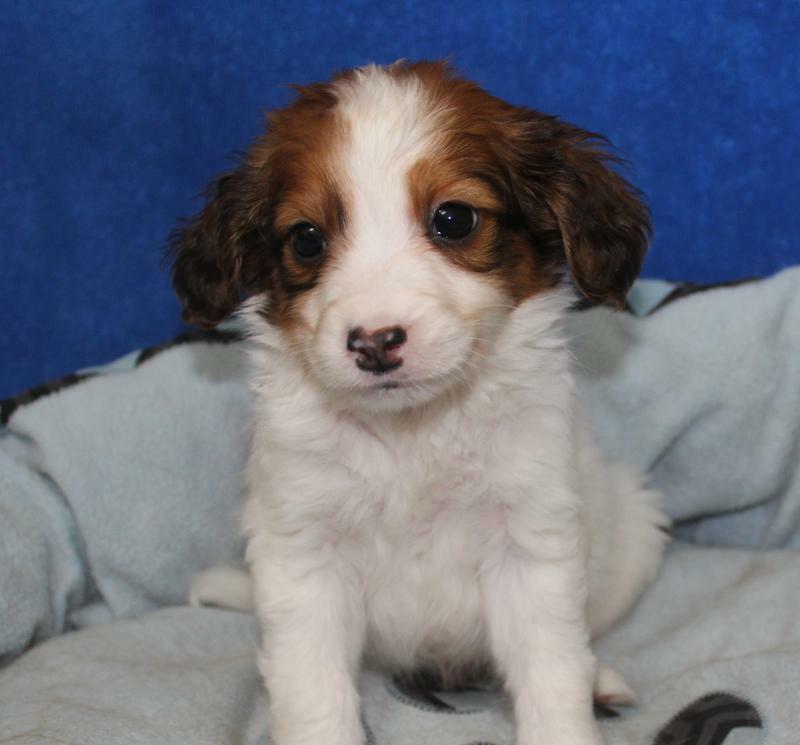 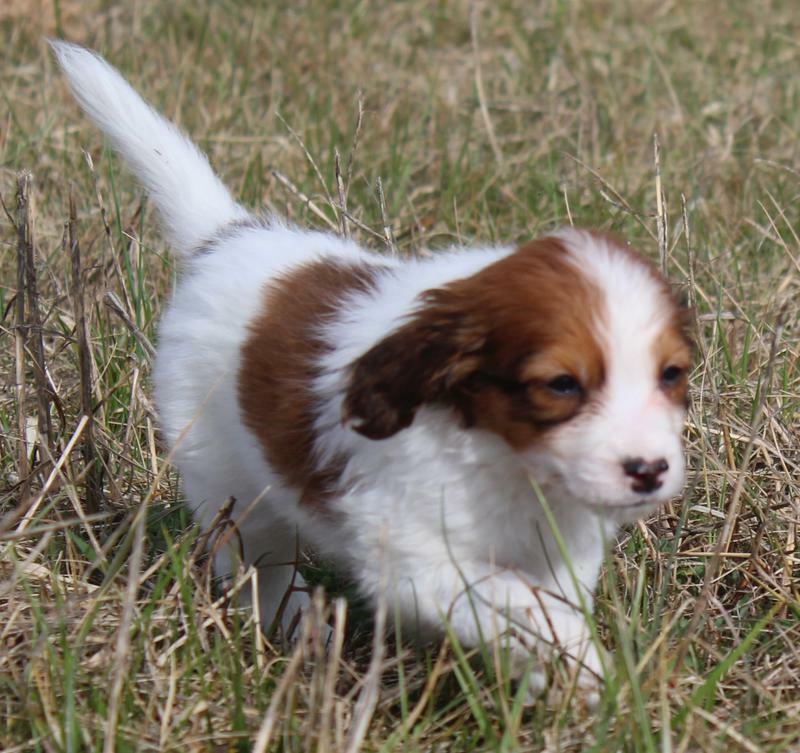 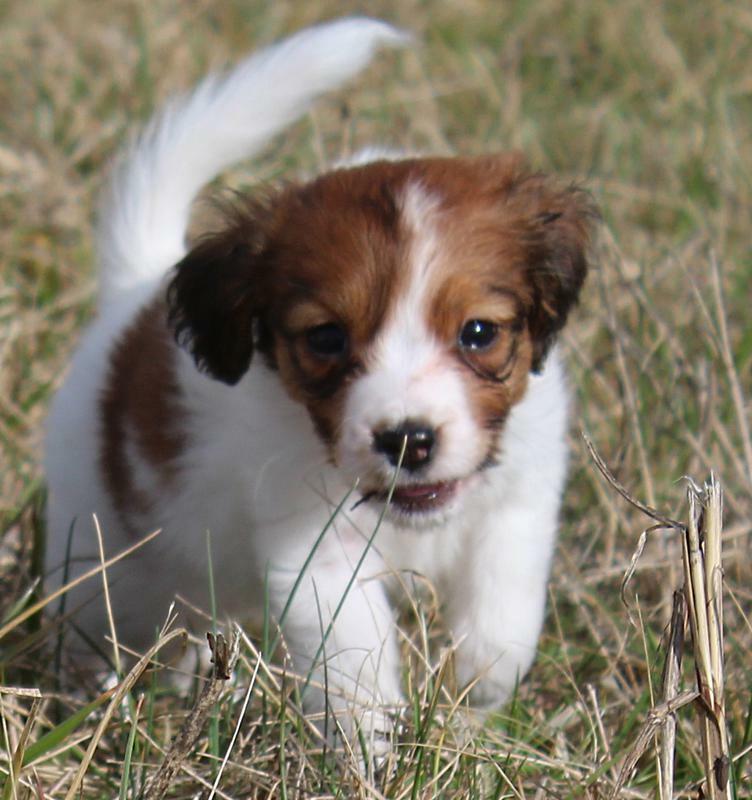 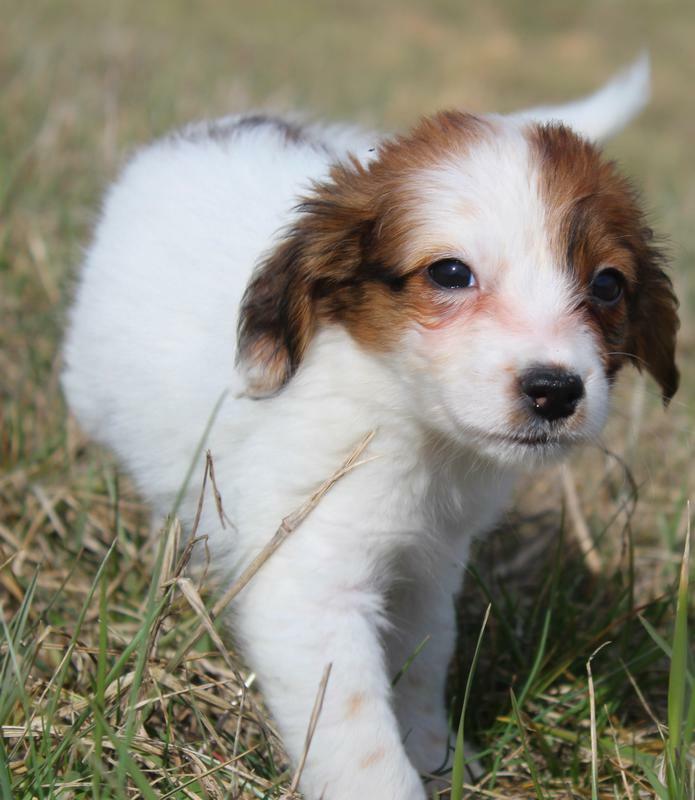 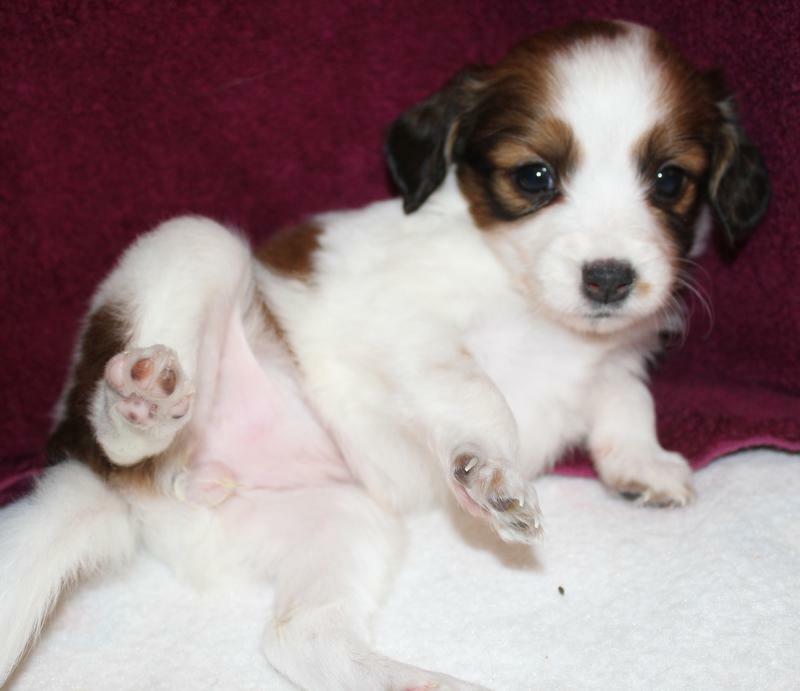 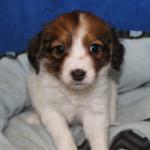 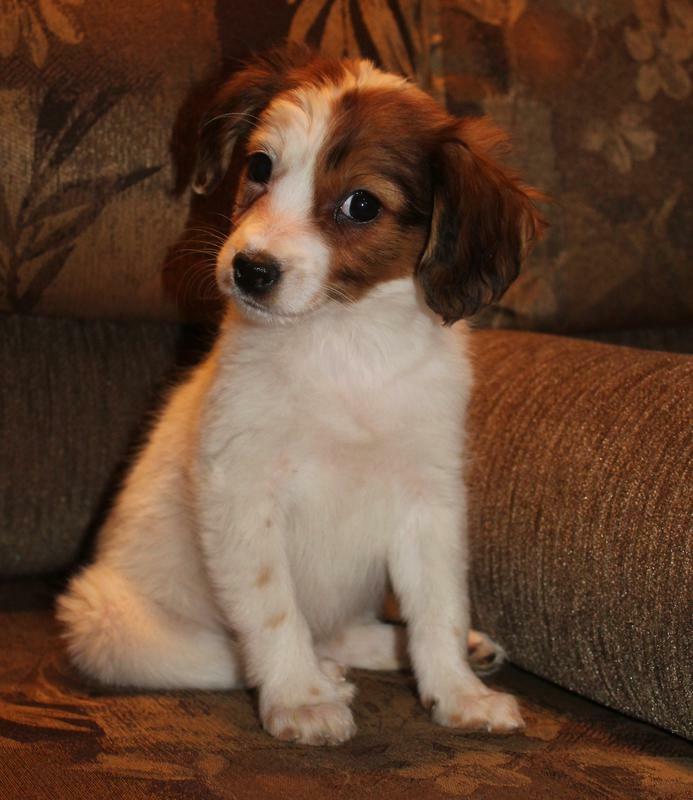 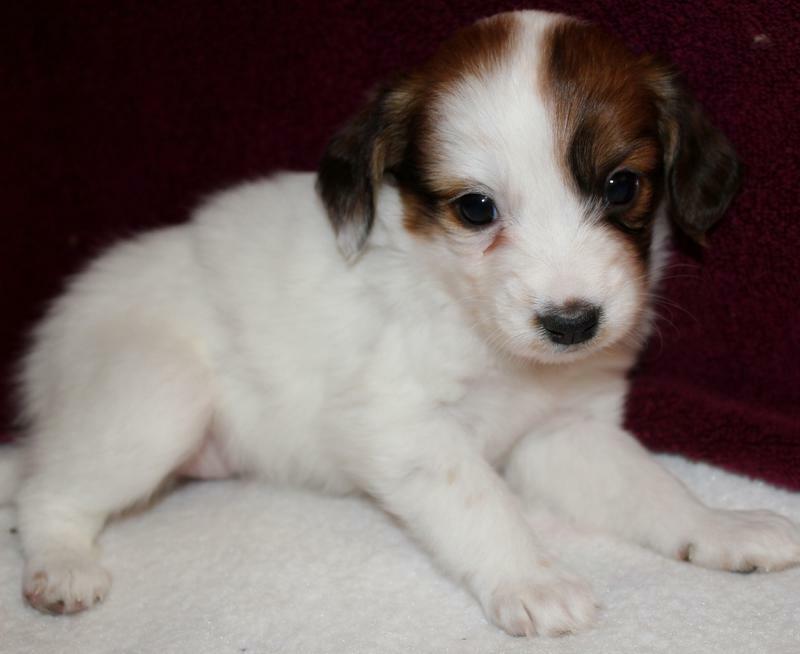 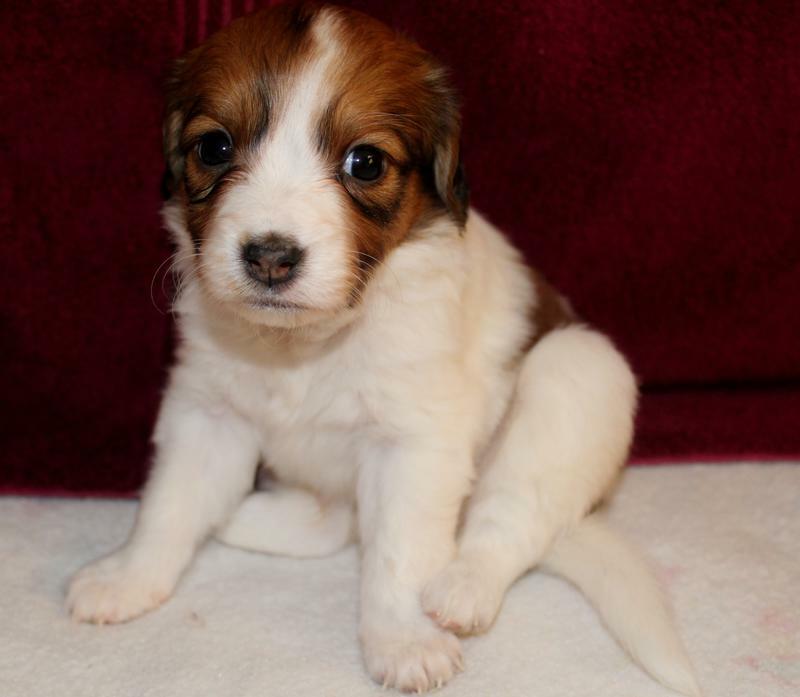 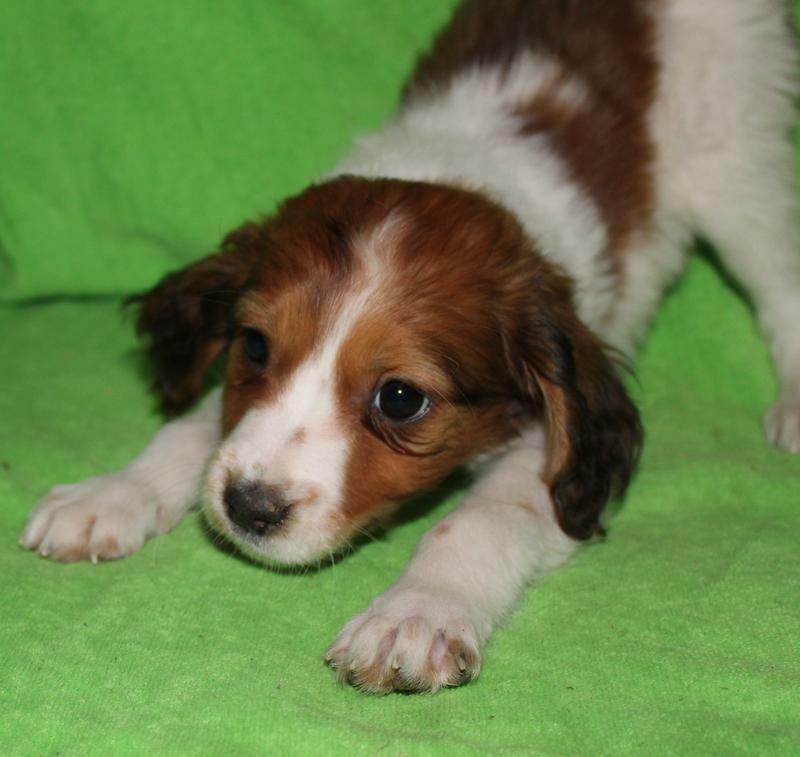 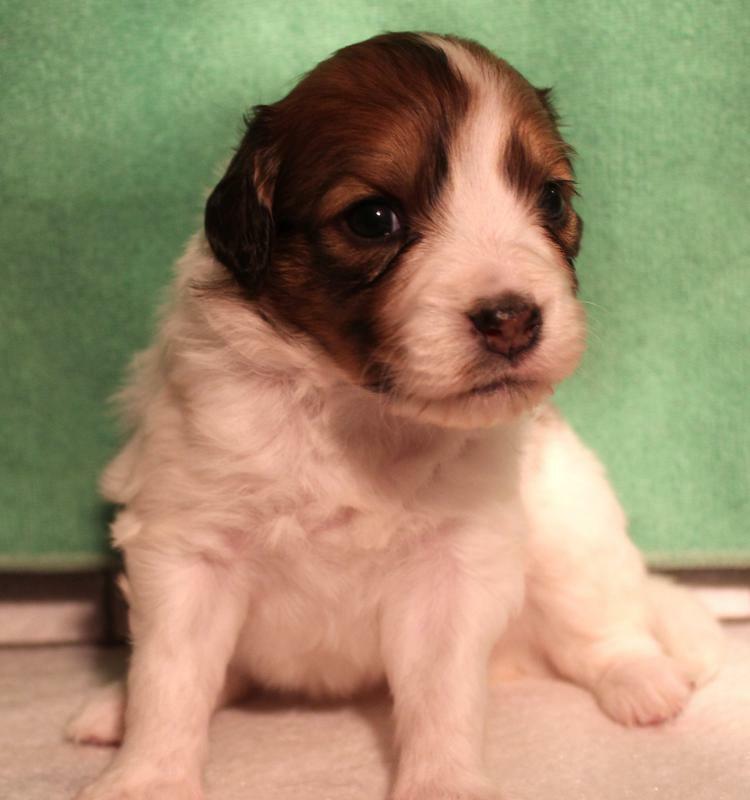 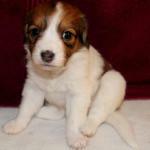 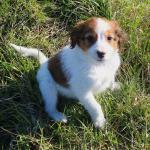 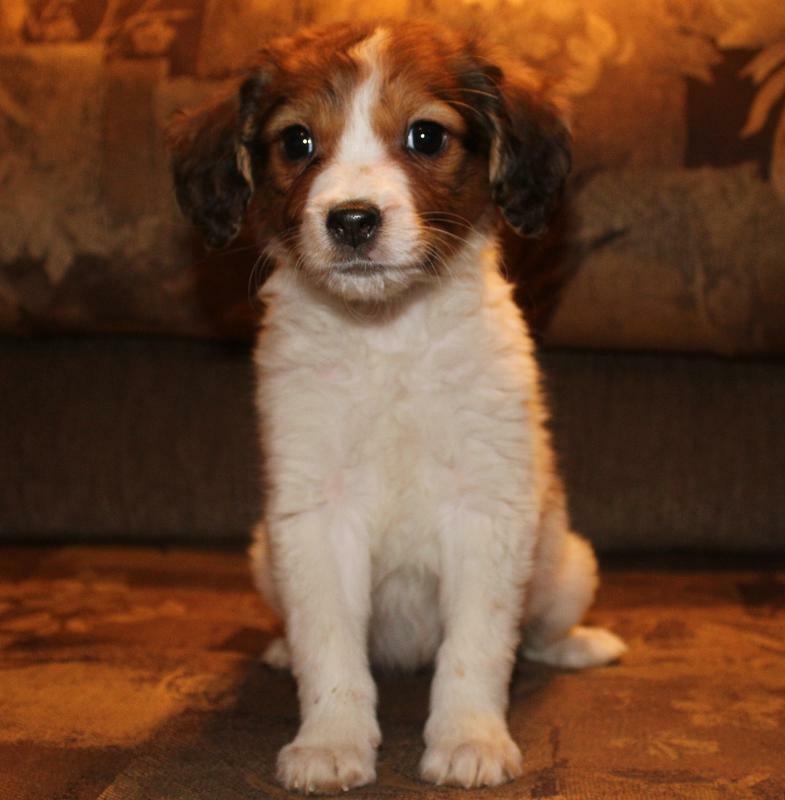 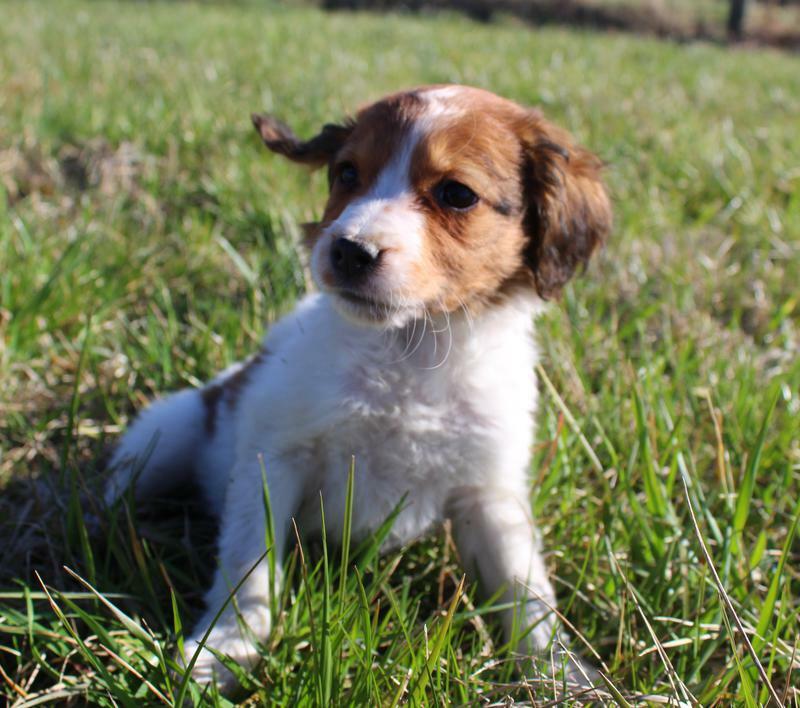 (Yes a registered Nederlandse Kooikerhondje, not a look alike that some breeders claim to have had) We know this breed inside and out. 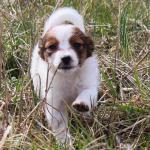 We know all our breeding dogs personally. 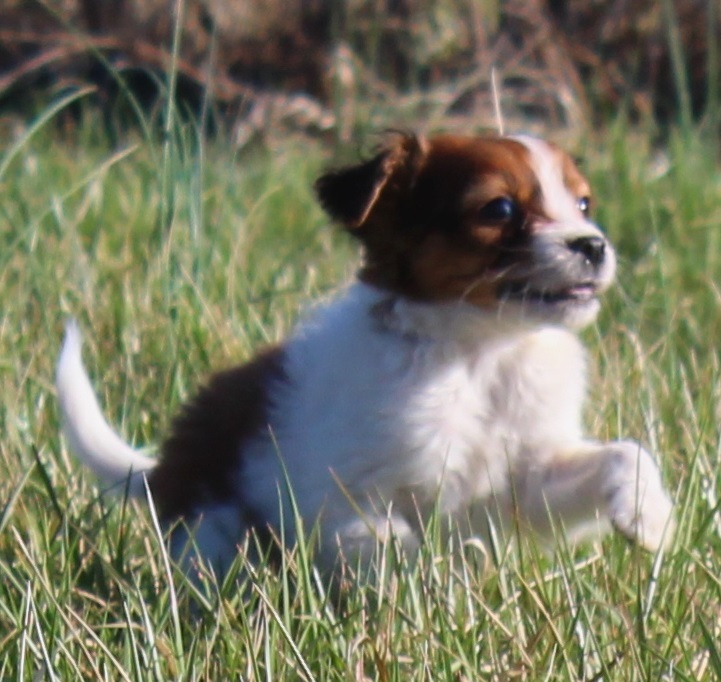 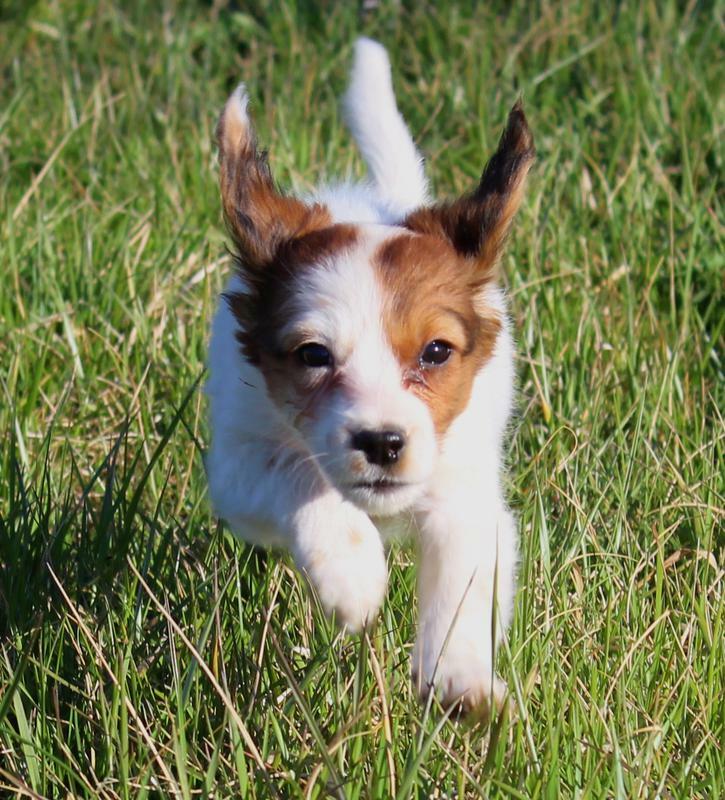 Due to inferior temperaments in the breed, we only use our own stud dogs or dogs we have screened personally and have LIVED with prior to breeding. 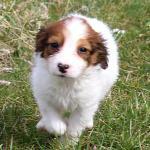 No exceptions to this ever!! 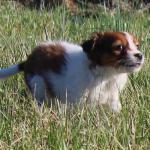 These are quality bred for temperament, health, structure, and breed type. 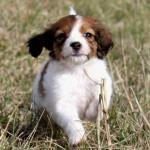 This is not a designer breed of the latest fad. 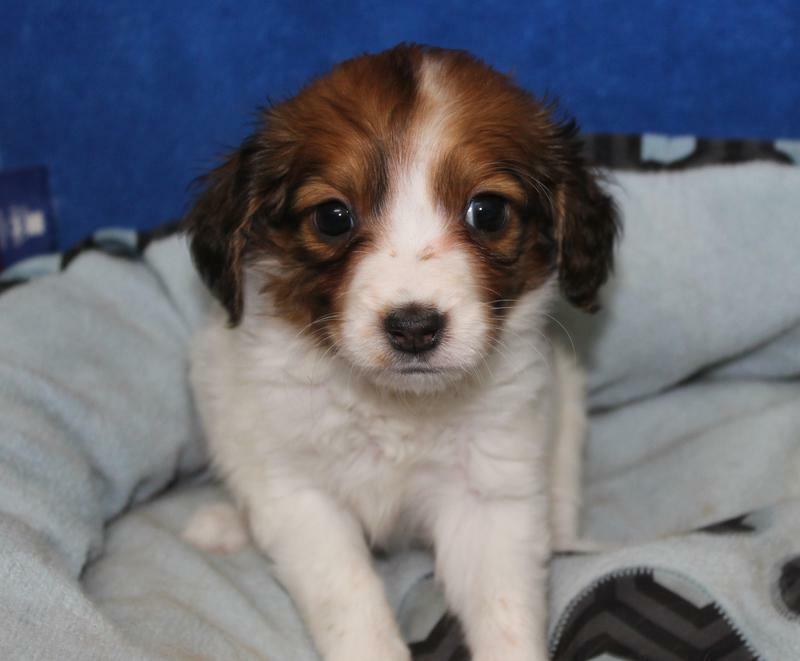 Please expect to pay at least $2800 to $3200 for a puppy. 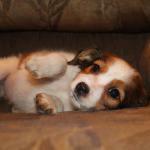 Please fill out the questionnaire if interested. 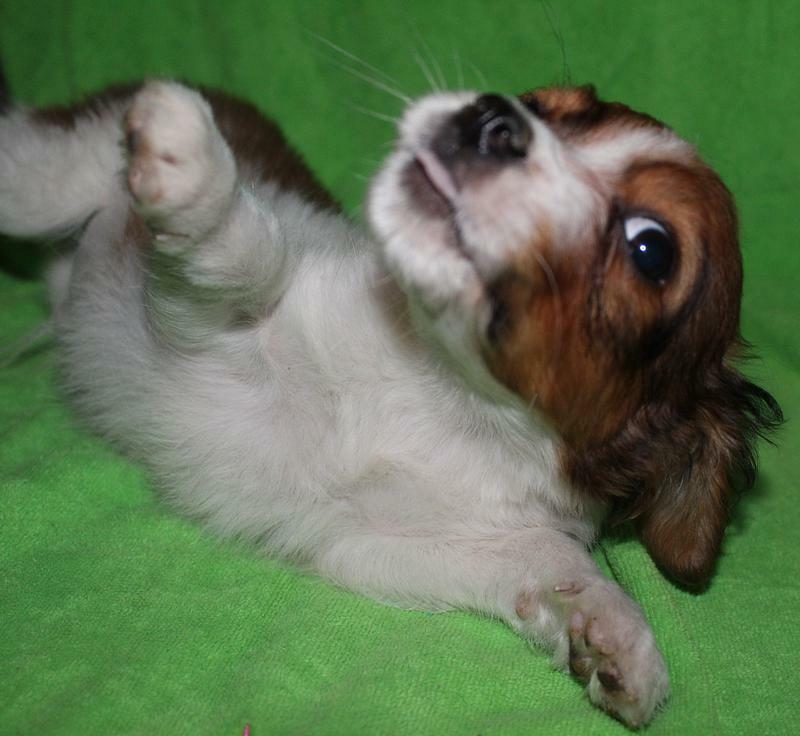 No window shoppers please. Our time is valuable and devoted to training and loving our dogs, along with interviewing serious prospective homes. 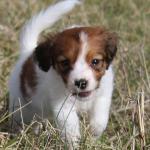 Finding the right homes takes a lot of time, as we are very selective in placing them in the best matched homes. 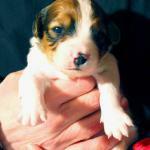 Forever homes is our only goal and without our intense screening we would never achieve that. 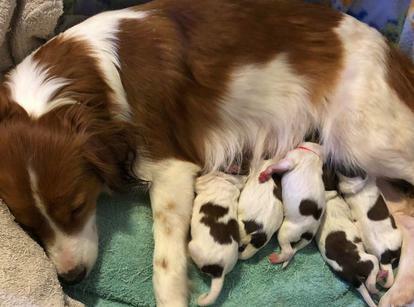 Once we find those homes, you become our family. 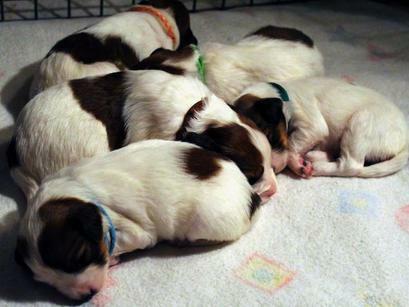 As we trust you with these precious little lives we brought into the world.